Concentrated Essential Oil and Cold-Pressed Seed Oils targeted pimple reducing serum made with Black Cumin + Cajaput + Manuka + Turmeric! Apply 1 drop to clean finger, cotton bud, or directly from roller; onto clean skin. You may apply 3 times per day, but discontinue use if redness or irritation occurs. Always allergy test new products. (Acne-Prone and Sensitive skin is inherently sensitized. This means, the scales can easily be tipped by a new ingredient. Unlike the host of alcohol-based acne drying lotions, patches, and serums; our oil-based serum is feather light and non-greasy, but immensely nourishing. You can apply this multiple times per day without fear of drying or peeling. Moreover, the essential oil blend is rich in bio-active compounds that not only clear up breakouts, but improve the look of your skin and reduce scarring. ORGANIC HEMP SEED OIL | the heart of my brand, Cannabis Sativa Seed Oil, is cold-pressed from premium industrial hemp seeds. 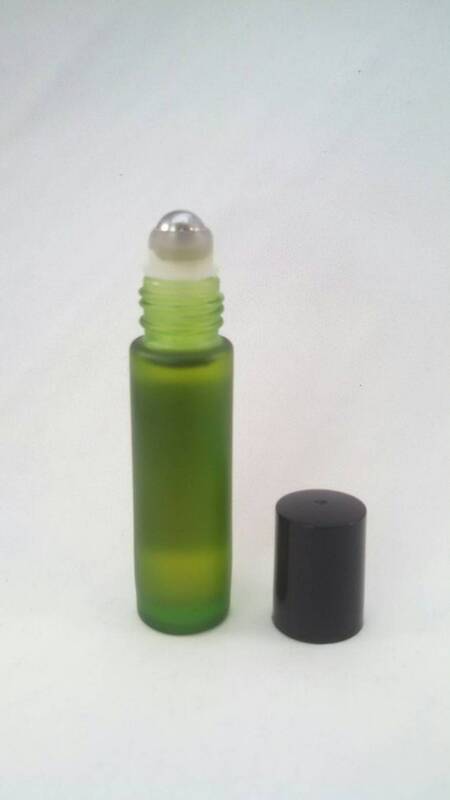 The resulting oil is emerald green and slightly earthy and nutty scented. Rich in three types of Polyunsaturated Fatty Acids, and packed with vitamins and minerals, Hemp Seed Oil contributes to redness reduction, moisturization, and overall elasticity and texture. ORGANIC SACHA INCHI | this light and super ant-inflammatory oil is also packed with antioxidants. The super light texture is thanks to the rich Linoleic Acid content that also contributes to the anti-inflammatory nature of this carrier oil. Making it ideal for all skin types and super moisturizing without being heavy or thick. Several Linoleic-rich oils encourage skin to repair itself and soothe inflammation and redness. Linoleic acid thins thick sebum that can cause clogged pores and acne. The high level of fresh cold-pressed seed oils leaves skin soft and supple, never red or flaky. Unlike many alcohol-based spot treatments that dry and damage skin, this oil-based serum nourishes and respects the natural lip id layer as well as improves the moisturization of skin. Lighter than your natural sebum, it allows for application of other products without adding heaviness or oiliness. Oily skin is over-process and typically dehydrated skin. Hemp seed oil, especially, helps balance skin moisture levels. While this is only a spot treatment, pimples are areas where the skin is the most damaged and the added fatty acids, in the ideal proportions, encourages balance. The light texture also allows this to be easily absorbed and layered under other products. Bear’s Beauty is made with the finest Cold-Pressed Botanical Oils, Essential Oils, Hydrosols, Organic Fruits and Vegetables. I use minimal preservatives based in Probiotic and Fermented Kimchee to create safe products. That being said, this is food-grade skincare, and it will go bad. I recommend storage of your products in the fridge, in general. If you are taking a break from a product and you feel you won’t use it at least once a week, place it in the fridge. If you are using a cream or a hydrosol every day and you don’t like getting it from the fridge, it is totally fine to leave it in your bathroom, out of direct sunlight. Oils, serums, cleansing oils, and balms can be stored for up to 12 months cold and six months at room temperature.